Carol is the Managing Director of Franklin Street Support Services. Carol served as Chief Financial Officer and Chief Compliance Officer of Franklin Street Partners for 25 years. Prior to joining Franklin Street in 1993, she was Accounting Manager for Digital Pathways, Inc., a California-based high-tech computer security system manufacturer, acquired by Symantec Corp. She started her career with First National Bank of South Carolina. Carol graduated in 1981 from the University of South Florida with a degree in Business Administration. Diane is the Chief Compliance Officer for Franklin Street Advisors. She has 34 years of experience in the finance industry, including over 20 years of Securities and Exchange Commission (SEC) compliance experience. In 2014, Diane joined Fifth Third, Franklin Street Advisors’ parent company, as Vice President and Compliance Director, and also serves as the Chief Compliance Officer for ClearArc Capital and Retirement Corporation of America, also investment advisers registered with the SEC and wholly-owned subsidiaries of Fifth Third Bank. Previously, she was with Mainstream Investment Advisers, LLC, where she served as the firm’s chief compliance officer and was responsible for day-to-day business matters outside of investment strategy. Prior to Mainstream, Diane served in various financial and investment capacities at Providian Corporation. She graduated with a B.S. in Business Administration from Franklin University and later earned her MBA from Bellarmine University. Diana is a Compliance Officer with Franklin Street Partners, previously serving as a Client Service Associate and Family Office Administrator. Prior to joining the firm in April 2011, she practiced law in Charlotte, North Carolina with Alston & Bird LLP and Cadwalader Wickersham & Taft LLP in each firm’s global finance group. Diana also spent seven years with Bank of America and Banc of America Securities LLC in corporate and investment banking. Diana graduated from Wake Forest University with a degree in Business and earned a Juris Doctor from The Marshall Wythe School of Law at the College of William & Mary. She is a member of the North Carolina and Georgia bars. She has over 18 years of experience working in the financial services industry. Jason is the Director of Operations of Franklin Street Partners. Jason joined Franklin Street Partners in 2007 as Operations Manager for the Hedge Fund of Funds team. Jason has also worked for Advent Software, Inc., a leading portfolio management software company, where he managed a team of consultants. Jason began his career at Schwab Performance Technologies, Inc. He received his Masters in Business Administration from North Carolina State University and his undergraduate degree in Mathematics from Campbell University. Ron is an Operations Manager who joined Franklin Street Partners in 2005. He has over 30 years experience in various positions in the banking and brokerage industries. 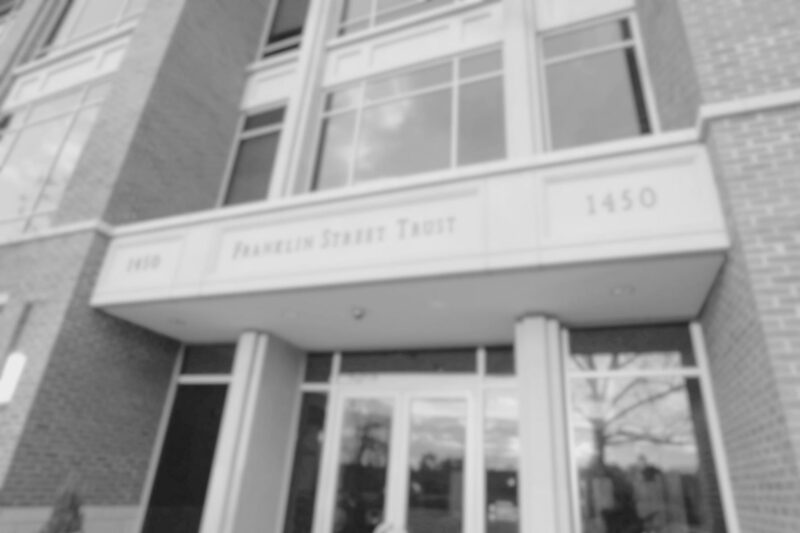 Prior to joining Franklin Street, he was an Assistant Vice President at SunTrust Bank, (formerly Central Carolina Bank). Prior to SunTrust, he was also employed by North Carolina Trust Company, Bank of America (formerly NationsBank), Suffolk County National Bank, and MacPeg, Ross, O’Connell & Goldaber, Inc.
Susan is an Administrative Assistant at Franklin Street Partners. Prior to joining the firm in 2006, Susan worked in both the construction industry and the psychology field. Susan is a graduate of the University of Virginia with a degree in Psychology and the University of Illinois at Urbana-Champaign with a Masters of Education in Counseling Psychology. Cathy is an Operations Specialist that joined Franklin Street Partners in 2017. She began her career in banking at Marine Midland in NY and most recently worked in the education field. Cathy is a graduate of SUNY Binghamton with a degree in Management. John is an Operations Specialist who joined Franklin Street Partners in February 2019. He has over 25 years of experience in the banking and trust services industries. John joined us from SunTrust Bank, where he held recent positions in Trust Client Support and Trust Operations. Prior to that, he worked with Coast Federal Credit Union. He earned his B.B.A in Trust Management from Campbell University. In 2016 and 2017, John was awarded the President’s Volunteer Service Award at the Bronze Level in recognition of his community volunteer service hours. Beth is a Franklin Street Support Services Specialist. Beth served as accountant and human resource manager for Franklin Street Partners for over 17 years. Prior to joining the firm in 2001, Beth was a Sales Assistant for Centura Securities. Beth is a graduate of the University of North Carolina in Wilmington with a degree in Business Management. Jill is an Operations Specialist with Franklin Street Partners, having joined the firm in 2015. She has over 16 years of experience in the banking industry. Jill began her career with Central Carolina Bank’s Trust Department. Prior to joining FSP, she worked with First Citizens Bank in Commercial Lending. Jill is a graduate of Campbell University with a BBA degree in Trust Management.